I posted an essay on The Health Care Blog entitled The Prevention of Physician Burnout: A Nine Step Program. Here is an example of how this works. 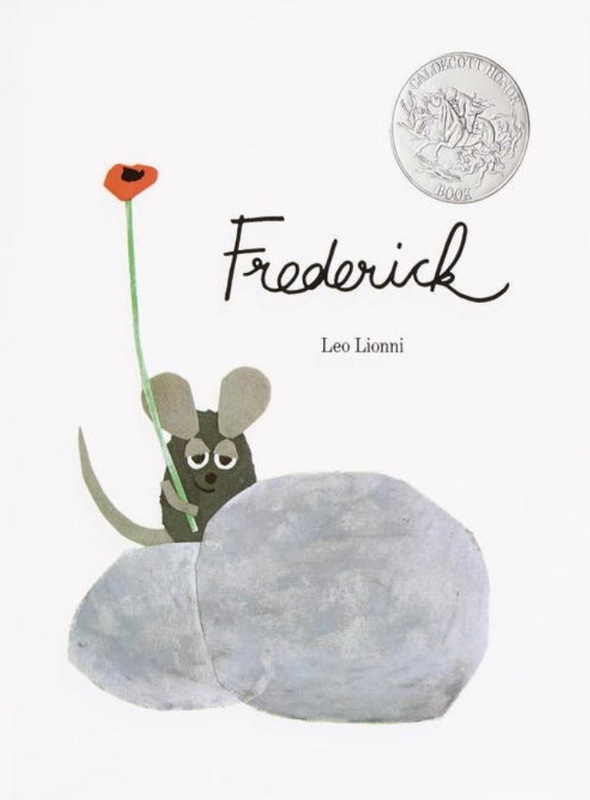 Recall the wonderful children’s book by Leo Lionni, Frederick. Let me remind you of it. A family of mice begins to store away food and supplies for the long winter ahead. Most are practical and gather corn, grains, and straw. One of the mice, Frederick, instead collects rays of sun, colors of the rainbow, and words to remember. When winter arrives the family begins to use up their practical supplies. They become irritable and angry and don’t have anything to talk about. In other words, they become burned out. Frederick shares his stores of sun rays, colors, and a poem which enlivens their spirits and saves their lives. Ever since reading this story to my own children I have used Frederick as a verb. When a wonderful event occurs, I try to remember to Frederick it…….and save it for a tough day. About a month ago, a 20 year old woman, previously completely healthy, began to experience twitching of her left hand. Over several days this involuntary jerking worsened and spread to involve the left side of the face as well. Her parents told us that her personality had dramatically changed in that she lost her usual ebullient nature and became almost inert and unreactive. She came to us where it appeared that she was suffering from epilepsia partialis continua (continuous partial seizures). The MRI was very abnormal in that it showed a very bright signal on T2 weighted images in the basal ganglia bilaterally. An EEG was abnormal in that it was quite slow, but there were no definite cortical correlates to the jerking. Her spinal fluid was acellular under normal pressure with normal protein and glucose measurements. We were very concerned that she was suffering from a form of encephalitis, either viral or autoimmune and, if autoimmune, whether it could be paraneoplastic or benign. It seemed that an infectious encephalitis was very unlikely given the normal spinal fluid and the absence of systemic signs such as fever. A broad batter of auto-antibodies, known to cause various autoimmune encephalitides were ordered, all of which were ultimately negative. She underwent a whole body PET scan and pelvic ultrasound to exclude a malignancy or ovarian teratoma. Both were normal. A definite diagnosis could not be made, so it was decided to treat her empirically. First a brief course of high dose intravenous steroids (methylprednisolone) was tried with no obvious improvement. The was then given a course if intravenous immunoglobulin. On the day of the third infusion, her family said that she reacted more normally when friends visited her, but her movements seemed unchanged. A trial of intravenous lorazepam was given which stopped the movements promptly but left her unacceptably drowsy. So levatiracetam, an anti-epileptic drug was started. It also had a negative effect on her level of consciousness, so it was replaced with oxcarbazepine, a newer anti-epileptic drug related chemically to carbamazepine. Having improved slightly, she was discharged with follow up planned in a month. Mere words simply cannot express how grateful we are for the care you gave and the compassion you showed to our daughter during her week stay at Brigham and Women’s. Truly, how do you thank someone for giving you back your child? Each one of you was an intrinsic link in a chain of care, that got her to where she is today. If any of those links had been missing, she could be in a much different place right now. You may feel like you were just doing your job, but to us, you are all angels on earth. Thank you not only for the care you gave to her, but for the patience and compassion you showed to us during a most difficult time. Because of all of you, she will be starting her junior year at college on time, and as far as we can see, participating fully (albeit under some very watchful eyes). We hope that you all are blessed with good health now and always, because we have learned through this experience that without your health, nothing else really matters. In the midst of uncertainty, common sense seems to ultimately apply for the selection of therapeutic trials. Especially, after there is no suspicion for a treatable bad actor. Good ole’ carbamazepine. I always thought it ultimately had a healing effect on cerebral neurologic dysfunction. A variant of Takayasu Arteritis comes to mind for your lady, especially with the therapeutic response.